From an original birthday gift for her partner to a collection of mood lamps. Terra Light, by Lauren Van Driessche, is born out of love with a dash of functionality and has grown into a playful collection of table and floor lamps that, almost imperceptibly, add that little touch of extra atmosphere. An adjustable sphere resting on an empty cylinder can shine its light in any desired direction. 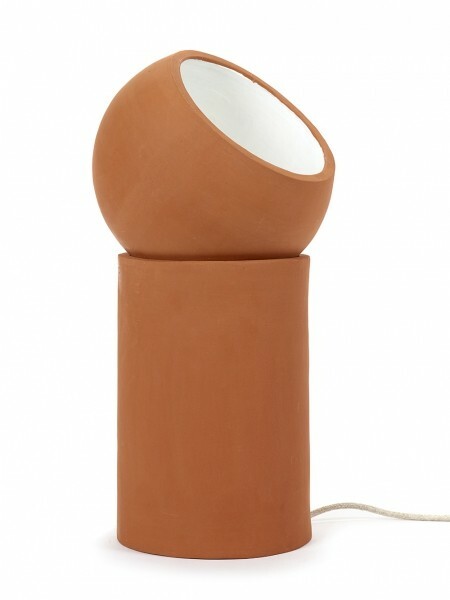 The warm terracotta material and the robust finish provide for an artisanal look, while the white-coloured interior of the sphere creates a beautiful contrast and optimises the reflection of the light in a peculiar way. 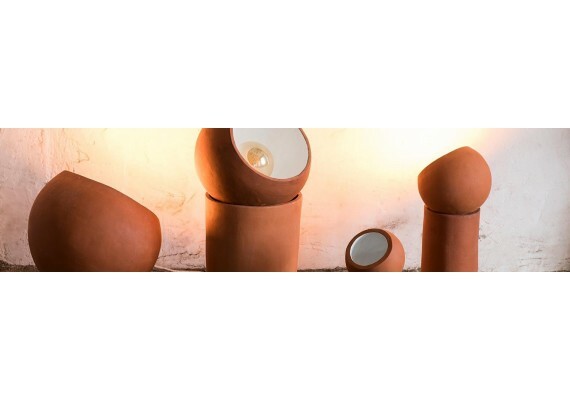 Terra Light is the first collection that Lauren Van Driessche presents in collaboration with Serax, but she is already musing on an expansion of the terracotta collection. 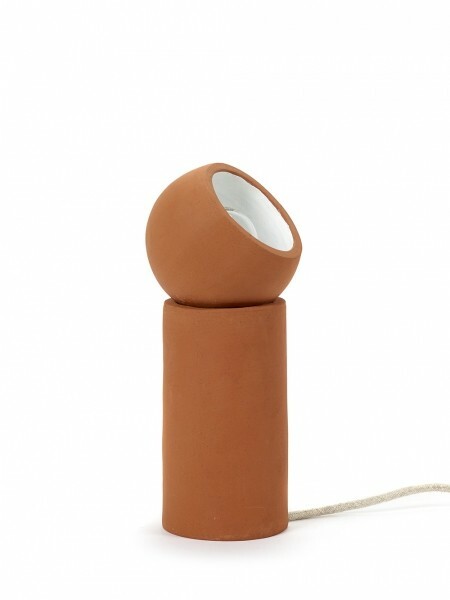 The small version of this lamp is 29 cm high and has a diameter of 12 cm. 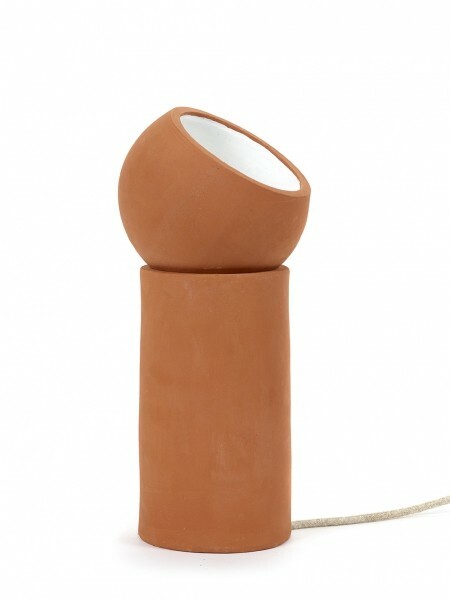 The medium version of this lamp is 39 cm high and has a diameter of 16.5 cm. The large version of this lamp is 51 cm high and has a diameter of 25 cm. Light bulbs are not included in these Terra creations. The lamp type E27 with max. wattage 25 fits all three sizes.